I think the most frustrating thing for me as a beginner was not understanding how longboard racing worked. I really wanted to enjoy it, but I simply didn’t know how. How someone could go from being first to last, what divided a good racer (apart from coming first) from a bad racer. With time, I learned and it’s actually super simple. Basically, the first to cross the finish line wins and is the best hehe. But seriously, there are loads of tactics that go into making sure you’re the fastest. Your equipment choice, body type, drafting, experience, and skill all play important factors. So what makes someone the fastest? –Some wheels roll really fast, but don’t grip around corners so well and for others vice versa. It’s up to you as a rider to pick what works best for you. -Different trucks and boards are also available. Some longboards trucks are better and more stable than others. You need to pick what works best for your style and makes you the fastest. -Race tracks with loads of corners and hairpins favor lighter people. -But Race tracks with long straights favor heavier riders. -You get to accelerate faster and get a higher top speed than lighter riders, getting down the hill faster. -You can’t simply push out first and expect to win. -But you also can’t simply rely on drafting to catchup. If you overtake at the wrong moment, the rider behind you could also overtake you and beat you to the finish line. -Also, drafting doesn’t always work, you might not accelerate fast enough to make use of a draft. It could be because of a poor tuck, slow wheels or you being unable to get into the other racers draft (you could be too tall or too short to make use of it). Or maybe they are simply too fast. -If you’re too aggressive, you could washout and slide off the road. -Skill allows you to make the most out of your equipment. It allows you to make the most out of all the grip your wheels can offer and really handle them well. Alternatively, if you can’t handle your wheels it can be a disadvantage to you. -Experience advises you when to overtake, when to slow down and when to do something risky. -Experience also advises when to take the best racing line, or when to compromise so you don’t crash into someone. Check out a skater getting some hard, earned experience below hehe. Racing is a battleground of skill, experience, and LUCK. Racing is fun to watch and be a part of, but what does it all amount to? Events happen around the world and most of them have no relation to each other. However, there is a world circuit ongoing, with 1 main international governing body overseeing everything – the IDF (International Downhill Federation). Skaters compete in races around the world with the goal of being world champions at the end of the season. They travel from country to country and race to race to rack up as many points as they can. The racer with the most points from a maximum of 6 races wins the world championship. They get points from a maximum of 4 world cup and 3 world qualifying series race wins. The above requirements are for the open category, but other race categories have slightly different requirements for winners. Racing sounds fun, how can I join in or watch more of it? Racing is a lot of fun and is one of my personal favorite bits of longboarding. The easiest way to get into is by looking up your local crew. 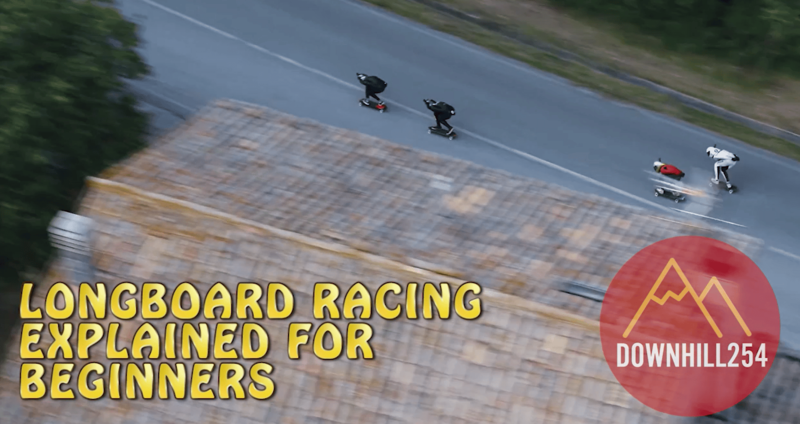 They probably have small events, outlaws (illegal longboard race – cool right?) or they all probably get together travel out to bigger races. You can also follow the International downhill federation on facebook for more info and media on ongoing races. I believe the America’s tour is about to start shortly so you can get on the hype train and be excited about that, maybe even go out to one of the race tracks to show some support.